The key vulnerabilities to the Canadian financial system continue to be elevated household debt, imbalances in the housing market across the country, and “fragile” fixed-income market liquidity, the Bank of Canada said Thursday in its year-end review. But the central bank says new “household vulnerabilities” will be mitigated over time by new housing finance rules, which are expected to slow the housing market. In the December report, the second of two assessments of risk each year, the Bank of Canada noted that mortgage rates are rising in response to government and regulatory changes to housing finance rules, as well as higher long-term bond yields that are increasing lender funding costs. However, though global economic growth has picked up in the second half of the year, Canadians continue to labour under record debt loads. “On a national basis, household indebtedness has continued to rise and, more importantly, so has the proportion of highly indebted households in many Canadian cities,” the report said. Highly indebted individuals are key targets of the new federal measures aimed at cooling the housing market, but it will take time for the changes to have the desired effect, Carolyn Wilkins, senior deputy governor of the Bank of Canada, said at a news conference Thursday. “It’s not something that will be a matter of weeks. That’ll be over the next few years, so it will take some time for that risk to come down,” she said. Since the Bank of Canada’s last report on financial system stability in June, federal, provincial and municipal authorities have introduced policies and rules aimed at tamping down skyrocketing home prices, particularly in Toronto and Vancouver. These include British Columbia’s land transfer tax that applies to foreign buyers, and more stringent federal requirements to qualify for insured mortgages across the country. In addition, the Office of the Superintendent of Financial Institutions is ratcheting up the amount of capital banks must hold against riskier mortgages. “Taken together, the changes will have the greatest effect on household indebtedness by improving the quality of future borrowing,” the Bank of Canada report says. If new measures requiring a higher qualifying rate for borrowers had been in place during the 12 months leading up to September of 2016, 31 per cent of high-ratio mortgages issued nationally would not have qualified, the report says. High-ratio mortgages are those with a loan to value of more than 80 per cent. The report notes that tightened rules for obtaining portfolio insurance or other low-ratio mortgage insurance should also influence household debt by making refinancing and long-amortization transactions more expensive or less available. For now, the national ratio of debt to disposable income is approaching 170 per cent, with strong growth in mortgage credit, and consumer credit. And it is growing at or slightly above the rate of income growth. “The proportion of borrowers with high mortgage debt relative to income continues to increase in many Canadian cities,” the report said. Almost half of the high-ratio mortgages originated in Toronto in the third quarter had loan-to-income ratios that exceeded 450 per cent, up from 41 per cent a year earlier. What’s more, the Bank of Canada report says, high loan-to-income mortgages are spreading beyond Toronto to nearby cities including Oshawa and Hamilton. It these cities, the proportion of high-ratio mortgages with loan-to-income ratios exceeding 450 per cent has more than doubled over the past three years to 25 per cent. One area where risk has diminished slightly since the Bank of Canada’s report in June is the potential fallout from low commodity prices. To some extent, “we’ve come past that,” Stephen Poloz, Governor of the Bank of Canada, said at Thursday’s news conference. He said prices have come up from lows and shown more stability in the past six months. Still, the central bank is keeping an eye on the continuing impacts on households in oil-dependent provinces. “We don’t see it as a major risk, but it’s important to understand that it’s not over,” Poloz said. Beyond household debt and the mortgage market, the central bank’s report also weighed in a segment of the capital markets that is drawing attention at the international level: bond market liquidity. An in-depth market survey conducted by the Canadian Fixed-Income Forum, an industry group assembled by the central bank, found that there are “pockets where liquidity problems are more evident,” Bank of Canada Governor Stephen Poloz said in a statement Thursday. These pockets include corporate bonds and certain repo markets. Poloz said the Bank of Canada will keep tabs on the fixed income market, particularly since new regulations are likely to make liquidity marginally more costly, and market-making less lucrative. “We will continue to monitor market behaviour and to engage with market participants, while pursuing work on the impact of regulatory reforms at the international level,” he said. Two men with the same face, or one man lying about having two identities to stay in Canada? An Alberta restaurant worker from Pakistan has been ordered out of Canada after facial recognition software analyzed his driver’s license photo and declared he is really someone else entirely. While Farhan Mahmood says it is a bizarre case of two men with the same face, Canada Border Services Agency says its use of biometric technology caught a man who shouldn’t be in Canada. It is among the first reported cases of CBSA proactively using facial recognition data to probe immigrant status although the technology has been a priority interest for the agency for years. CBSA says Farhan Mahmood, 38, and Muhammad Irfan, 39, are the same person — in the flesh but not on paper. Irfan came to Canada from Pakistan in 2003 and was refused a work permit that year and again in 2004. Immigration records show he left Canada on Sept. 23, 2003. Although Irfan didn’t get a work permit, he did get an Alberta driver’s license on Feb. 26, 2003, a process that included having his photo taken. Mahmood says he first came to Canada from Pakistan on Nov. 13, 2005, and obtained a work permit that year. Even to an untrained eye the Irfan image and Mahmood images have striking similarities. On April 11, 2007, Mahmood walked into the same Edmonton service office and had his photo taken for his driver’s license. Both photos were entered into the Alberta Motor Vehicle System called MOVES. Mahmood and Irfan both applied for a permit to work at the same restaurant owned by Tariq Chaudhry, who sponsored both applications. In 2014, Mahmood filed a lawsuit against Chaudhry alleging abusive labour practices. The split between the two was acrimonious and shortly after the lawsuit was filed, Chaudhry reported to CBSA that Mahmood’s real name was Irfan. Regardless of the motive behind Chaudhry’s tip, CBSA investigated Mahmood’s identity. Irfan’s 2003 driver’s license photo was run through the Alberta MOVES database: the system flagged Mahmood’s 2007 driver’s license photo as a 100% match and his 2012 photo as an 82.5% match. CBSA sought to have Mahmood kicked out of Canada on the grounds he misrepresented himself. It wasn’t easy for the various checks and balances in the system to decide what to do with him. He continuously denied he is Irfan — or that Irfan is him — and denied previously entering Canada using that name. Last year, the Immigration and Refugee Board heard from Mahmood and Chaudhry, the spiteful tipster, as well as CBSA at a hearing. Mahmood said he was in Pakistan, not Canada, in 2003: he got married on Feb. 14, 2003, to Rizwana Kausar and their daughter was born on Dec 17, 2003. But he provided little documentation to prove it. Chaudhry’s evidence was described in court as “combative and self-serving and lacking credibility in many areas.” Although his words were given little weight, his tip was deemed accurate. “Even to an untrained eye the Irfan image and Mahmood images have striking similarities,” said George Pemberton, the IRB adjudicator, in his decision. Pemberton agreed Mahmood and Irfan were the same person, however, he did not declare him inadmissible to Canada because there was no evidence he had ever been asked if he had previously been denied a work permit. The government’s appeal to the IRB’s appeal division brought a different ruling, finding there was adequate reason to consider Mahmood inadmissible. Mahood then appealed to the Federal Court, which settled the matter in a decision released last week. Justice Glennys McVeigh dismissed his appeal. Immigration and Refugee BoardImages from the facial recognition report the government used to determine that Farhan Mahmood and Muhammad Irfan are the same person. CBSA is increasingly using facial recognition analysis to root out duplicitous duplicates. It is usually touted as a way to catch terrorists, gangsters and human smugglers. CBSA this year planned to test facial recognition technology through a live video feed to match travellers against a database of previously deported persons in an operational border context, according to a Privacy Impact Assessment the agency filed. In a 2014 facial recognition pilot project, CBSA ran 1,000 photos of wanted fugitives through databases. The test found matches for 15 who had alternate identities, Canadian Press reported. In a few previous cases, facial recognition checks have led to immigration charges or removals from Canada of foreign nationals, including a Turkish man who applied for status as a Syrian refugee, but the published cases show the searches were initiated by other government agencies. In this case, CBSA requested the search of Alberta’s database and caught a cook. Mahmood’s lawyer, Martin Stoyanov, said he wouldn’t recommend that his client speak with the media about his case. Requests to CBSA for information on its use of facial recognition went unanswered prior to deadline. Following a 12-week undercover investigation Windsor police have seized an estimated $180,000 in drugs, including the force’s largest ever haul of crystal meth. Officers made buys from street-level and mid-level dealers and seized 850 grams of crystal methamphetamine, among other drugs. The operation started in September and uncovered a growing meth problem in Windsor, including with blue product like that featured on the acclaimed TV series Breaking Bad. “Meth has gone crazy,” Staff Sgt. Frank Providenti, the head of the department’s intelligence unit, said Thursday during a press conference at police headquarters. The other alarming finding from the investigation — which included dangerous undercover work from more than one officer — is the rise in fentanyl, including “bootleg” and powdered versions of the sometimes fatal drug. Providenti said at least two or three people in Windsor have died from fentanyl overdoses in the last year and that further investigation might prove the number is actually higher. Besides more than 850 grams of methamphetamine the latest operation netted: eight fentanyl patches, six grams of fentanyl powder, 105 oxycodone pills, 3.6 grams of cocaine, 0.3 grams of crack, 129 MDMA pills, 0.1 grams of heroin, seven hydromorphone pills, and 11.7 grams of marijuana. “This is a significant seizure,” Providenti said, noting that many of the drugs confiscated will now be more difficult to find in Windsor over the holiday period. Police have charged 15 people, though four suspects have yet to be arrested. Most arrests in the operation were made two days ago. Bus, train and cruise ship travel between Canada and the U.S. is set to speed up now that a pre-clearance bill has been adopted by the U.S. Senate, matched by impending Canadian legislation. 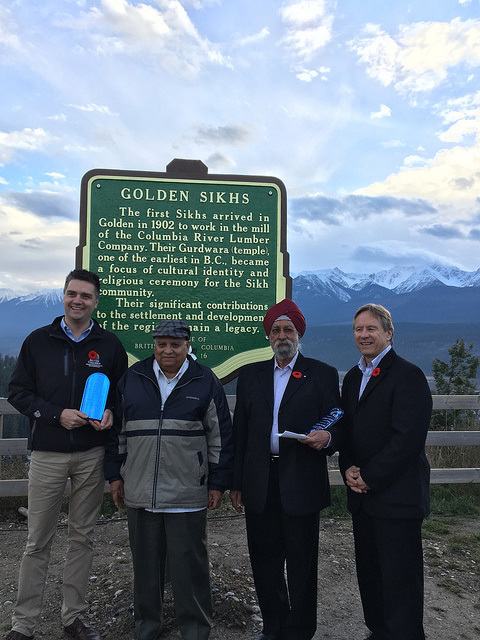 One of the first beneficiaries of the new law will be Vancouver-based tourist train operator Rocky Mountaineer, which was part of a pilot project approved earlier this year. Once matching Canadian legislation is approved next year the company expects passengers travelling to the U.S. will be pre-cleared at Rocky Mountaineer’s facilities, meaning they no longer have to stop at the border. Another pilot project is at Montreal’s main train station. The new bill, called the Promoting Travel, Commerce and National Security Act, is expected to be signed by Barack Obama in one of his last acts as U.S. president. It builds on an established pre-clearance program now in place at eight Canadian airports, including Vancouver. In signing the bill into law, the Obama government would pre-empt concerns that the new Donald Trump presidency would tighten border access. Companion Canadian legislation, Bill C-23, received second reading in Parliament in June and is set to receive final reading. In 2015 over 12 million passengers travelling to the U.S. were cleared at U.S. Customs facilities inside Canadian airports. The new bill also adds two more airports, Toronto’s Billy Bishop and Quebec City’s Jean Lesage. Proponents of the program have long sought to expand the system to include rail and bus travel in hopes of reducing waits at border stations without compromising security. The plan is to establish U.S. customs offices on the Canadian side of the border allowing travellers, in theory, to get screened more quickly, zip through the actual border, and ease logjams that slow travel and commerce. “This is good news for both Canadians and international travellers and will have a positive impact on our business. We have been working with government on this project since its inception and are pleased to see continued momentum,” said Rocky Mountaineer president Steve Sammut. The passage of the bill is also being hailed by the Pacific Northwest Economic Region, a public/private group made up of Canadian western provinces and Pacific Northwest states, who say pre-clearance will strengthen the region’s $55-billion travel and tourism sector. PNWER said the program will also benefit travellers using the Amtrak Cascades, Victoria Clipper, Black Ball and Washington State Ferries, as well as cruise lines operating out of Vancouver and Seattle. Canada’s ambassador to the U.S., David MacNaughton, also saluted the bill in a tweet Saturday. ”Preclearance is a win-win for enhanced security and prosperity on both sides of the border,” he said. The Canada Border Services Agency, along with RCMP, show cocaine seized during a drug importation investigation at the Coutts border crossing that focused on commercial vehicles. RCMP say just over 200 kg of cocaine was seized in a drug importation investigation in southern Alberta that focused on commercial vehicles. The drugs were seized at the Coutts border crossing on three separate dates. During the first seizure on Sept. 2, Canada Border Services Agency (CBSA) officers searched a commercial truck entering Canada with a load of televisions. According to the RCMP, officers discovered 60 packages of cocaine weighing 69 kg stashed in the vehicle. Gurpreet Singh Cheema, 29, and Gurpreet Singh, 28, are charged with importing a controlled substance and possession for the purpose of trafficking. The second seizure was two days later, on Sept. 4. CBSA officers searched a truck containing a shipment of novelty items. According to RCMP, concealed within the load were 34 packages of cocaine. Tejinderpal Singh Sandhu, 34, is charged with importing a controlled substance and possession of a controlled substance for the purpose of trafficking. The third seizure took place on Oct. 10. According to the RCMP, CBSA officers found 83 bricks of cocaine hidden throughout the cab of a commercial vehicle carrying produce. Jasmail Singh Sander, 53, of British Columbia, and Parmjeet Singh Sandhu, 31, of Ontario, are charged with possession of a controlled substance for the purpose of trafficking and importing a controlled substance. In all three instances, the commercial trucks were operating for commercial trucking companies based in British Columbia.